by Andy Higgs in Features, Stay, We likey. As we all know, size isn’t everything. But it is a factor, along with the age-old wisdom of location, location, location. Oh I see where your mind was going. I’m talking about hotels. Not long ago there seemed to be a belief that bigger was better, whether in terms of rooms (in Las Vegas many hotels have more than 3,000 rooms) or in height (for which Dubai and Saudi Arabia rule the roost.) The biggest hotel planned but never completed (for which we can be grateful) was the Nazi era 10,000-room monster at Prora in Germany. But in the last year or two some of the more striking new hotel openings have been establishments on a far smaller scale. Like those capsule hotels in Japan? That’d be a maximum of 365, in fact. For exclusivity, luxury and exoticness (is that a word?) this place in Cambodia is in a league of its own. There is only one room (as you may have guessed) but that doesn’t stop you from enjoying all the usual hotel perks: there’s a reception area when you arrive, a doorman to er, open the door for you and all the services you would expect. You get your own iBook and iPod. Then there’s the bathroom with a two-person tub with underwater lighting or you may prefer the rainfall shower. Naturally you’ll have sole use of the rooftop terrace and jacuzzi. A restaurant you ask? The hotel will turn your room into a restaurant if you so desire – now that’s room service. Naturally you can also order spa treatments in your suite. Best of all, the rates aren’t as astronomical as you might expect either. Those awfully clever Yotel people began their foray into the hotel world with a different take on airport accommodation. Here the concept is a modern and very snazzy hotel room in a very small space. The Heathrow outpost is inside Terminal 4 and transferring passengers need to have valid UK entry to use it as it’s in the ‘airside’ section. The rooms have flat screen televisions, free wi-fi (yes!) and 24 hour room service. The bathrooms are equipped with a ‘monsoon shower’ and all mod cons. Don’t have time to stay the night? If you’re on a stopover and want to escape for a rest you can even stay for as little as 4 hours, but should you choose to stay overnight the rates are reasonable given the standard offered. Not quite as cool as staying on a grounded plane in our book, but the next best thing as far as airport hotels go. Other Yotels can be found at Gatwick and Amsterdam Schipol airports. In Germany the most convincing winner of the “smallest hotel in the world” crown is seven floors high. Sounds like an oxymoron I know (don’t you just love that word!) but then it is only two and a half metres wide. The unpronounceable name Eh’häusel means wedding house and the building stems from 1728 when it was conceived as a response to a local law requiring couples to own property together before they were married. 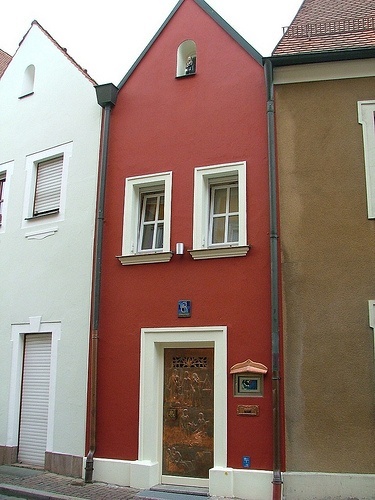 A very clever and slightly naughty German bloke stuck a roof between two existing houses and built walls front and back to create a house to satisfy the law, then immediately sold it to another couple who did the same. When the law was changed the building remained and in 2008 it was renovated and launched as a romantic retreat. The entire property with its private bathroom, bedroom and living room is only available for two people at a time and the locals claim couples who stay overnight will enjoy lifelong happiness. This former town house from 1910 is located in the upmarket Lärkstan district. Again intimacy is the draw here, although there are 12 rooms so this hotel is by far the biggest of the bunch here. 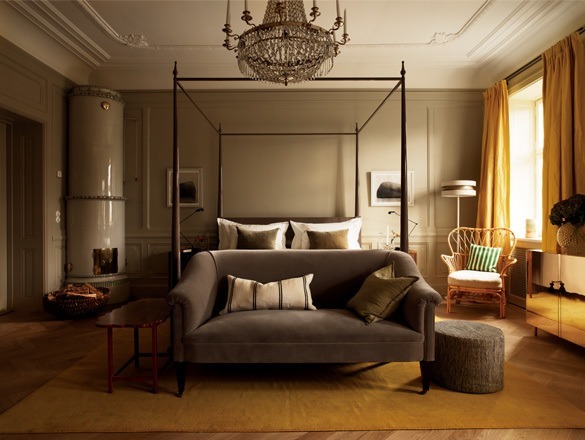 Ett Hem Stockholm opened in May 2012 with a focus on discretion and luxury. “Ett Hem Stockholm (A Home)” is a hotel where you are staying in the entire house, not just a hotel guest in a room. This is the first hotel of its kind in Stockholm”, says Jeanette Mix, owner of the hotel. Dinner is served in the former kitchen and guests are able to enjoy the private garden and orangery, if they fancy an orange. I guess that’s the idea? Sorry, I’m being silly again. The British designer Ilse Crawford has been responsible for the interior which boasts wooden floors (yes! ), marble bathrooms, wood-burning fires and vintage furniture. We had to include this one even though you can no longer experience it in person. Even when you could, you couldn’t – when the online booking opened for the first six months of 2012 it was sold out within 12 minutes and I believe the second half of the year went even faster (I got the ‘sorry, you’re too late’ message after 6 minutes. If you’ve managed to avoid hearing about this ‘installation’, built by Living Architecture here’s a quick recap: It’s a one-bedroom hotel shaped like a ship whose design was inspired by the Roi des Belges, the boat that Joseph Conrad navigated up the River Congo in the late nineteenth century before writing Heart of Darkness. Not quite sure whether that’s a good recommendation but there’s a deck, crow’s nest and a bed on rails, so that you can adapt your view out over London. 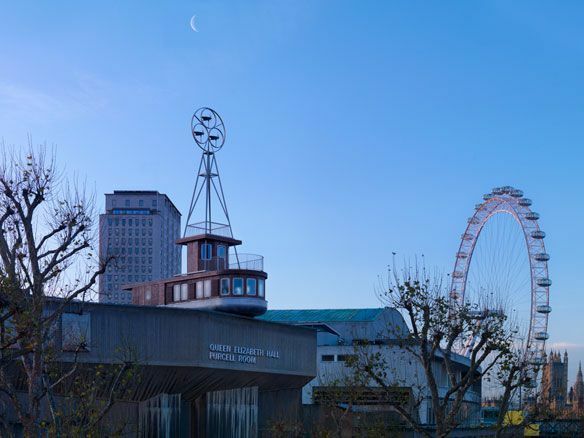 Because it’s perched on top of the Southbank Centre on the Thames. There is a possibility that the hotel may get an extension to its one-year life so here’s hoping. Yes, I think “cozy” is the new “cool”. 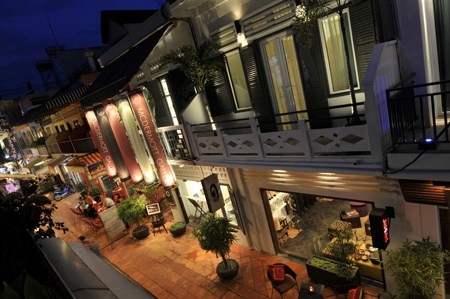 Boutique hotels are definitely making a comeback, and boutique hostels too. I definitely prefer to stay in a 12 bed hostel, rather than a hostel with 200 rooms at 12 beds each! “small” gives the feeling of exclusivity. being on the inside of the circle. In my hometown, small bars are popping up everywhere too. So small that capacity is 50-, and you have to line-up for an hour to get in. Thanks for your response Ian. I think you’re right, although my hostelling days are over no matter what the size…having said that some of the fancy ones with separate rooms look quite good. Small and exclusive does seem to be the new trend.